Ea O Ka Aina: Is Apple Flying Or Dying? SUBHEAD: A closer look at iPhone 7 indicates the evolutionary development of our wireless future. 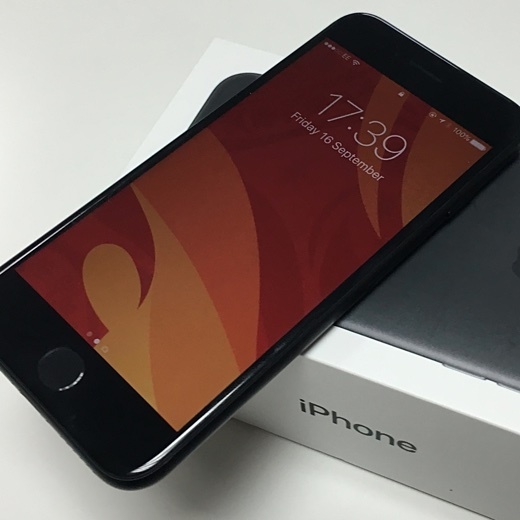 Image above: iPhone7 promotional photo in fragile Jet Black finish. From original article. What do the new iPhone 7 and iPhone 7 Plus smartphones tell us about Apple’s future? Let’s start this discussion with a simple premise that I think we can all agree on. Apple is not in stasis, it will change. Companies are always in transition, they hope to end up in a better place but in many cases the path of good intentions may eventually lead to a painful end. The iPhone 7 handsets are pivotal phones for Apple. Tim Cook and his team are taking a number of gambles with the hardware, the software, the distribution, and its corporate attitude. They believe that these changes will help Apple retain its leadership role in the technology space for the second decade of its smartphone (the original iPhone announcement was January 9 2007, so the birthday party is imminent). The fact that I don’t think the iPhone 7 or 7 Plus change a huge amount for the end-user is a point I may return to in a later article, but my thoughts on why can be found in my ‘First Impressions’ review of the iPhone 7 here on Forbes. In any case, let’s see what road signs are inside the iPhone 7 family and where they point to. Everyone will have an opinion on the removal of the headphone jack, and while I wouldn’t want to go as far as saying that the decision was powered by “courage” it does illustrate that Apple is capable divining a future and has the willingness to proactively push towards it. The move to lightning audio and wireless bluetooth is a ‘typically Apple’ attitude. There’s no point waiting for the combined might of the music industry and various consumer electronics companies to throw away its comfort blanket, even if bluetooth headphones are starting to be in the majority of sales in some markets. Apple has forced the issue. Assuming the removal of the jack is a success (and a genteel press corps will help smooth the rough edges of the transition), the opportunities in terms of handset design, reliability, lowered build costs and the potential for improved margins on peripheral sales are all positive benefits for Apple. It’s hard to see the basic shape of a smartphone changing now, so design is going to be focused on the edges. Losing as many ports as possible will help evolve the smartphone. Switching the home key to a virtual button is more radical, but less likely to annoy the purists. Again it lowers the count of physical parts on the device which will reduce the bill of materials to Apple, it reduces the number of warranty repairs required, and it will act as another point of difference against the raft of Android smartphones. Perhaps more importantly, and staying in tune with the approach in audio, it reduces the number of extrusions in the basic chassis and offers far more ‘futuristic’ design choices for next year’s handed. Shorn of the need to prove the lack of a headphone jack or a physical home key, the tenth-anniversary iPhone 8 can bring forward a revolutionary look. The release of the iPhone 7 and iPhone 7 Plus will also generate a vital data point for Apple’s sales team. Last year’s launch of the iPhone Upgrade Program allowed consumers to buy an iPhone direct from Apple in return for two years of monthly payments. After one year they have the option of extending the payments by one year and trade up to the latest iPhone model. How many people take up this option will help plan the release of ‘the big one’ next year. Apple has laid out the broad brush strokes of how it sees the future – a world with minimal use of wires, with fewer moving parts on the iPhone, and consumers that treat their smartphone as a monthly lease with ongoing payments rather than a huge investment every twenty-four months. But Cupertino needs to watch out, because the new iPhone handsets also exhibit traits that could easily derail the company. SUBHEAD: Apple admits its iPhone 7 Jet Black finish is easy to mar. Image above: The low contrast Apple webpage that admits easy scratching of new Jet Black finished iPhone7. Can you read that? Let me sum up: the jet black version of the iPhone 7, the one we the people wanted, scratches. So if you don’t like a scratched iPhone, you’re going to need to invest in a case. People probably won’t be able to see your jet black iPhone 7 through that case. Do you love your phone’s color enough to let it be scratched? Apple doesn’t have the same footnote for its simply "black" color. It comes in a matte finish and might be more on the gray side, but I think it’s the color we have to go with to avoid scratches.